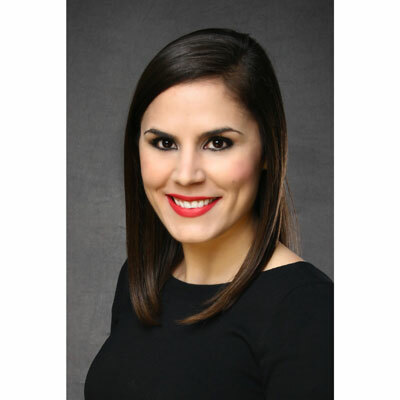 Monique Rezaei manages the National Channel team for Polycom, consisting of Polycom's largest North America Solution Advisor partners. Previously, Monique managed an integral relationship with two of Polycom's largest platinum partners. She developed strategic partner programs and enablement initiatives that align with both Polycom and the partner's overall market strategy resulting in consistent YoY growth. Monique is an MBA graduate from the University of Texas at Arlington where she studied Marketing and International Business. Monique spent the first half of 2017 continuing to grow two of Polycom's largest Platinum partners. Monique grew revenue consistently YoY the last 5 years by developing strategic partner programs and enablement initiatives that align with both Polycom and the Partner's overall market strategy. She spent the second half of the year focused on the strategic leadership of the National team and implementing best practices to foster growth amongst the entire team. Enable Polycom and partners' joint success with a goal of 15% YoY revenue growth across the entire channel ecosystem. Co-developing measurable strategic programs and business plans, as well as developing our next generation top Polycom partner. Monique completed the IPED Channel Master's Program and is now recognized for being a Channel Masters alumni. Monique has also been recognized in CRN Magazine's "Women in the Channel" publication for 2015, 2016 and 2017. There are so many power women that come to mind, but I have to say Sheryl Sandberg is truly inspiring to me. She's had successful careers at Google and Facebook, she's the best selling author of "Lean In" and she's a strong supporter of women's empowerment and development. She's a true portrayal of a super woman who can be a successful mother and Executive, all the while doing it with grace. Be true to yourself, carry yourself with confidence and advocate for yourself. Most importantly, have faith that you will find your path. Mastering the art of leadership, encouraging and empowering those around me to be their best and to make a difference. This year, I joined a book club and have had the privilege to read various types of books. One that was very inspiring to me, was Proof of Heaven by Dr. Eben Alexander. It's the story of a neurosurgeon's journey to the afterlife with a strong scientific inquiry. It was very eye opening and interesting to read about someone's after life experience, particularly one of a Doctor who was convinced it was scientifically impossible.